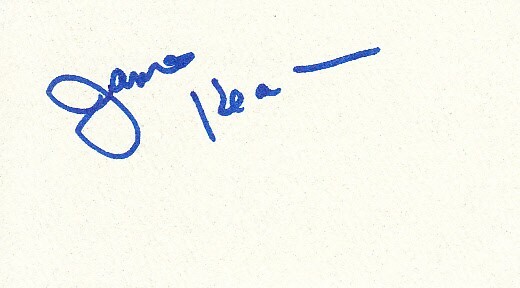 Roughly 2 by 3 1/2 inch beige paper (back of a business card) autographed in blue Sharpie by actor, director and producer James Keach (Waiting for Forever, Walk the Line). Obtained in person, with certificate of authenticity from AutographsForSale.com. ONLY ONE AVAILABLE FOR SALE.